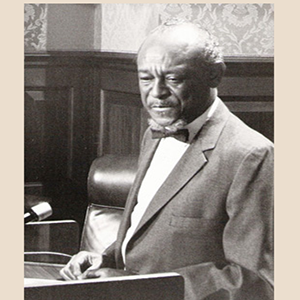 Newman was a Methodist pastor, civil rights activist, and entrepreneur. A leading figure in the Civil Rights movement in South Carolina, he helped organize the Orangeburg branch of the NAACP in 1943, helped found the Progressive Democratic Party, and served the South Carolina NAACP as state field director from 1960 to 1969. In 1983, at age 72, he was elected to the South Carolina Senate, thus becoming the first African American to serve in that body since Reconstruction.